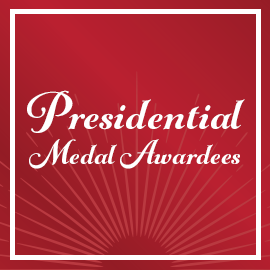 On Friday, April 26, 2019, thirty-five additional notable individuals will be awarded Presidential Medals to commemorate the 100th anniversary of PCO and the 10th anniversary of Salus. Every Saturday leading up to Friday April 26, we will highlight a few of the new awardees. This week's are Drs. Gudmundsen, Lewis, Mittelman and Osborne. 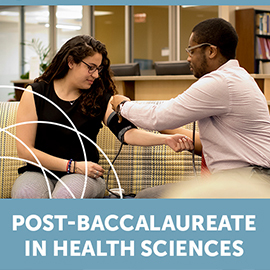 Salus is now accepting applications for its newest program: Post-baccalaureate in Health Sciences. 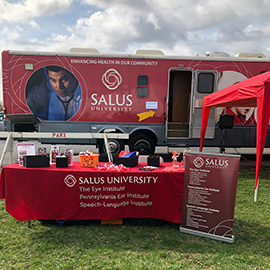 While Salus offers professional and graduate degrees as well as certificate programs, this is the first Post-baccalaureate for the University. On Friday, April 26, 2019, thirty-five additional notable individuals will be awarded Presidential Medals to commemorate the 100th anniversary of PCO and the 10th anniversary of Salus. Every Saturday, we will highlight a few of the new awardees. 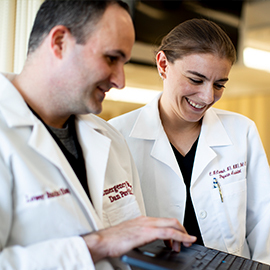 This week's are Drs. Verma, Dayhaw-Barker, Browne and Di Stefano.